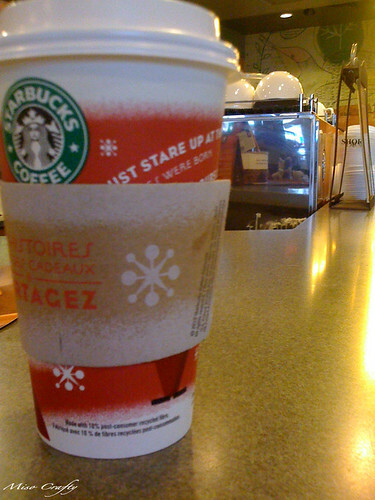 I always know that Christmas is just around the corner when Starbucks bring out the red cups. If I was avoiding any other signs, it's this one that I can't ignore. They're everywhere!! Christmas is less than 2 months away!! I should really start planning the gifts, the baking, the everything!! Ack!! PS: Sorry for the craptacular photo. It was taken quickly on my iPhone during a rush. I can't believe Christmas is so soon! I am so excited. We need to buy some decorations and a tree for our new house. I think I'm in denial about how soon Christmas really is. Since we'll be spending the holidays here, I think we'll be needing more decorations...but not sure if that'll happen without the little one wanting to play with them!